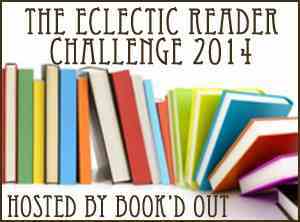 Eclectic Reader Challenge – Finished at last. I decided to play it differently this year. I spread the challenge books out instead of reading them one after the other. The net result of which was a slight panic that I wouldn’t get the last one read in time. It took me a month to read Travels in the Congo, my final book so I’m glad I didn’t leave it any later. It was a more difficult challenge this year. Largely, I think because the genres were further removed from what I normally read. I don’t particularly like romantic comedies, I never read travel writing and also a couple of the books I chose, I didn’t love. Patricia Cornwell springs to mind here as well as Dorothy L. Sayer. Nevertheless, I think it is a good thing to read in different genres and I did also read some excellent books – Travels in the Congo by Andre Gide was very good, as was John Boyne’s The Absolutist. Overall, I enjoyed it and I certainly will be doing it again next year. Congratulations on completing the challenge – hopefully this year you will enjoy it more! Even if I didn’t always enjoy the books, I did enjoy reading outside my comfort zone. Looking forward to getting started this year.